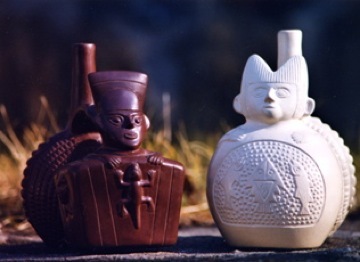 Clay 'pots' or 'bottles' of the ancient Inca that evoke shamanic visionary experience. Known as 'huascos' to the Inca, and huaca silbador or vacijas silbadoras by the Spanish. 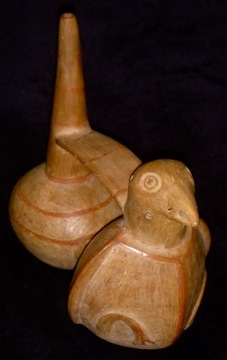 Each city state of their empire utilized these vessels which today in modern times are referred to as 'Peruvian Shamanic Whistling Vessels'. 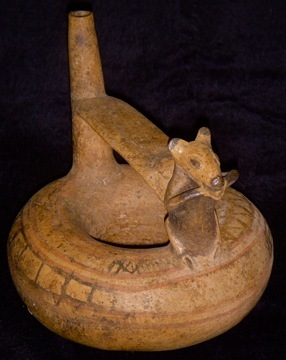 Possibly the oldest biofeedback device known to man. 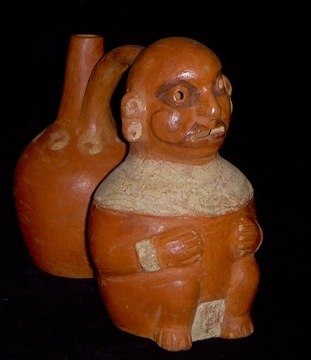 Archeologists thought that they were clay water bottles or a type of toy or novelty until an amateur anthropologist proved their true use. Creates 'beat frequency' which elevates consciousness and enhances body functions. Effect of this technology is only apparent to the person blowing into the vessel. In some indigenous healing rituals, water is added, and the vessel is rocked back and forth creating a more gentle tone. 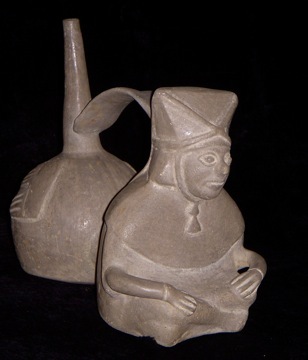 Some healers will blow into a vessel that has had water placed into it.